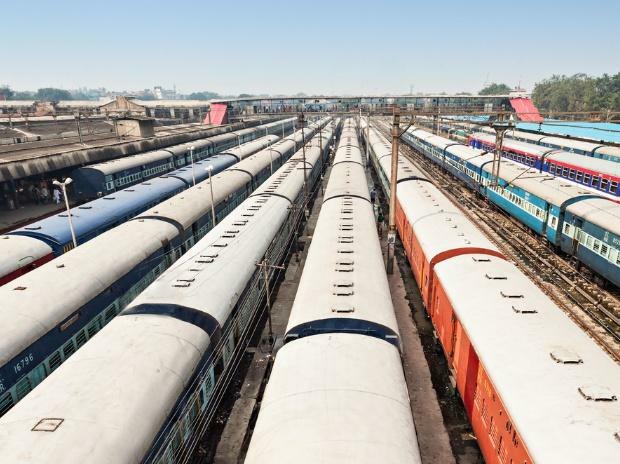 The railway ministry has approved around 500 extra train stoppages till February end in this fiscal on the request of Parliamentarians and the process is ongoing, sources said Tuesday. Senior officials said that it was a "routine exercise" and the halts were given after "scientific analysis" and not handed out "indiscriminately". During 2013-14 under UPA government regime, the railway ministry had approved 900 stoppages while over the five years of UPA-II, 2,472 stoppages were added. In comparison, since 2014, the NDA has so far allowed around half of that. Senior officials say that MPs are still writing to the railway minister to approve stoppages in their constituencies, as they become a rallying point during election campaigns. With the model code of conduct likely to be announced within the next few days, MPs are lining up in the ministry to get their halts approved. Some of the beneficiaries who have gone public with the stoppages being granted by the ministry include Union Minister Smriti Irani whose request to stop a superfast train in UP's Amethi district was given the nod. BJP leader Babul Supriyo also posted a tweet thanking Railway Minister Piyush Goyal for approving his request for a stoppage of the Howrah Rajdhani Express at his constituency Asansol.